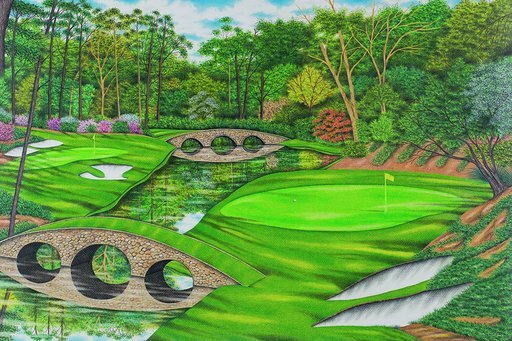 AUGUSTA, Georgia — Valentino Dixon’s introduction to golf came when the warden dropped by his 6-by-10 cell at Attica Correctional Facility in New York with a photo of the iconic 12th hole at Augusta National and a simple request. Dixon's painting of the No. 12 at Augusta National. The full AP interview with Valentino Dixon and Max Adler is available at PodcastOne Sports Now.